3 Maskell Street, Pallarenda - 2 Minutes Walk to the Beach. Relaxed, Holiday style living close to Pallarenda Beach. This property has massive potential for the happy renovator or savvy investor. 3 large sized bedrooms all with hard wood floors and fresh breezes. Galley style kitchen with walk in pantry, perfect for preparing family meals. A large open plan dining and lounge with plenty of natural light and all with a neutral colour scheme. Exit from the large sliding doors onto the cool screened deck with beautiful ocean views. Downstairs the large office or teen retreat offers plenty of room to busy families. Single lock up garage, storage room and laundry with a separate toilet and wash room, an excellent addition for rinsing off after trips to the beach or swims in the pool. 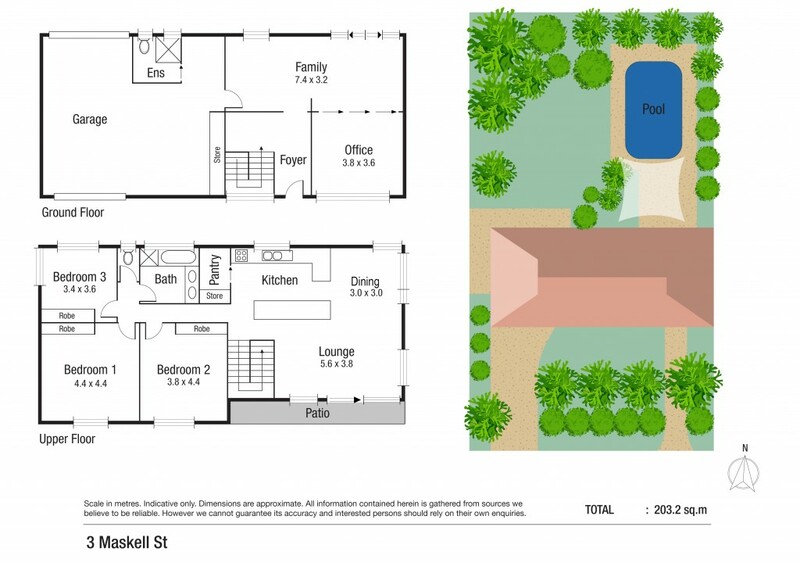 The large fenced yard is home to a sparkling pool and entertaining area, perfect for the hot North Queensland Summers. Located only a short stroll from the beach, boat ramp, swimming enclosure and parklands. Close to all that Townsville City has to offer. The Strand, Jezzine Barracks, Schools, Shops and Restaurant's.